As hardwood flooring is an expensive option as compared to carpeting, there are many homeowners who do not even give it a thought. Knowing the multiple benefits of this in the long run, though, you realize that it more than compensates for the initial costs. This works out not only when you are building a new home but also during renovations. Flooring is essential to make or break the appearance of your home. Therefore, give this a serious thought to quality hardwood flooring before you opt for a specific type of flooring. Are you planning to give your home a unique look? If you are, then opt for hardwood flooring. This flooring can give a cozy feeling and yet look elegant in any home, immaterial of what and how the interiors are done up with. Besides, quality hardwood flooring gives a sense of spaciousness to your home and adds to its ‘Wow’ factor. You need to be aware that hardwood flooring does not trap dust or other allergens, so it increases the quality of air inside your home. It can therefore be termed as a ‘healthy’ option when compared to carpeting. Also, laminate and tiles have more of a tendency to attract dust because the embossing and grout lines. Quality hardwood flooring, however, eliminates these issues. Wood is a resource which is natural and can be reforested. As most of us are environment-conscious, it therefore is a preferred choice among most homeowners. Bamboo is one such wood that tends to grow fast, making it more sustainable. Durability is a factor that you can look forward to with quality wood flooring. They might be expensive initially, but there are multiple ways in which you save on when you opt for this flooring. For example, you don’t need to spend a lot of money on a vacuum cleaner clean these floors. If you find any scratches on them, you can opt for a refinish rather than a replacement, which other types of flooring require. 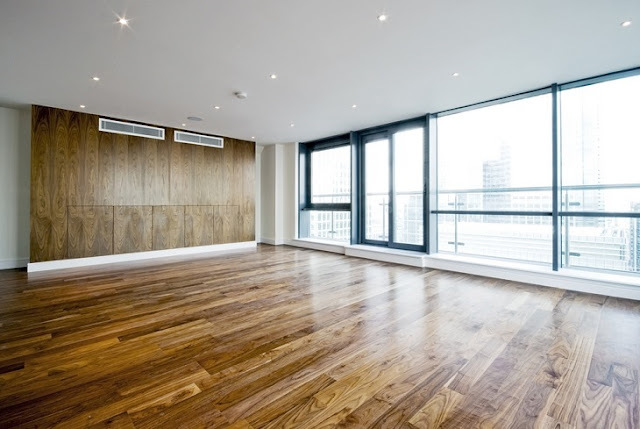 Opting for high quality hardwood flooring effectively deals with vibrations and hollow sounds that occur with poorer quality floors, and with other materials. Increasing the acoustics can help you enjoy your television or your home theater much better. As compared to carpets, wood floors do not have the tendency of fading. They look the same for a long time and you can retain their brilliance with some good maintenance. Keeping this flooring clean is simple, and just needs a regular routine of dry mopping, sweeping or probably vacuuming. The choice is yours. Deep cleaning is required once a year, which is much less as when compared to other types of flooring. Since quality wood flooring is stain resistant, anything dropped on them can be easily wiped off. 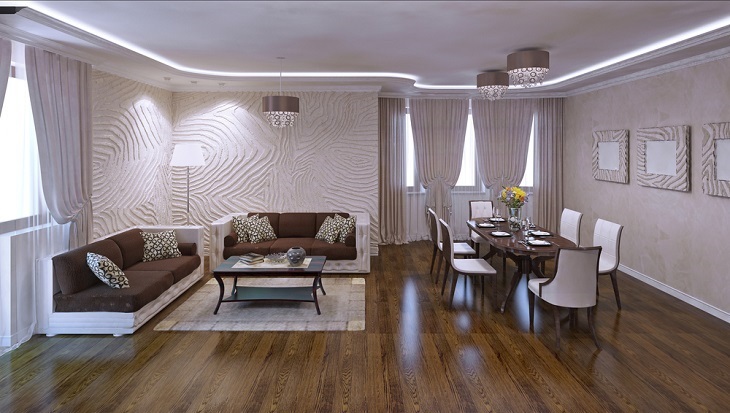 Homes with any style can opt for hardwood flooring as it looks ideal for all types of interiors. You may think of changing the décor occasionally, but you need not worry about your hardwood flooring. It simply adds to the elegance and style of all types of homes. As this is a natural resource, you come across patterns and colors which are unique and different. This is so unlike factory patterns which make the floor look so monotonous. 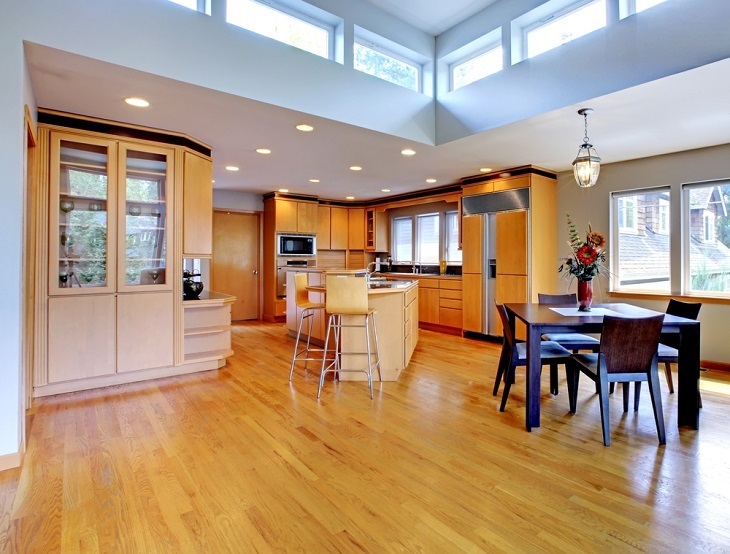 Find the right manufacturers of quality hardwood flooring and experience its different benefits. Make sure to compare different prices so that you are assured of a good bargain without compromising on quality. You can find many reputed manufacturers of hardwood flooring online, and you can compare and review their services and pick the best one for your home.